Students are gearing up to go back to school all across the United States. Some tech buying will take place in addition to picking up those Trapper Keepers and new sneakers. Here are some recommendations for tools that might make going off to college, high school or any educational experience, more productive and fun. 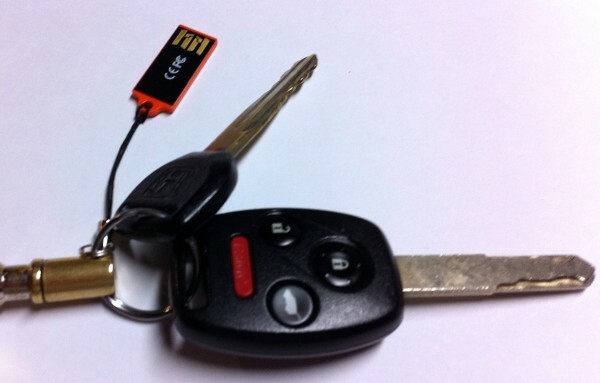 This tough little USB flash drive made our Father’s Day gift guide too. I like it that much. I personally tried to destroy one of these for a review that ran earlier this year. The drive takes a beating and holds your files intact. This rugged drive will help you back up or transfer papers (or other content) safely. The drive starts at under $10, and a large 16GB drive only costs about $40 direct from Verbatim. You might think I’m just getting lazy with this pick. Gift cards? Really? Yes! Gift cards supply both future and present needs. Your college student can get that useful note taking iPad app for class or some music or videos for entertainment. If you look at a local Sam’s Club you will often find iTunes Gift Cards for a few bucks less than the face value. For example, I recently bought four $25 gift cards in a single pack for only $96. You can get iTunes Gift Cards on discount at Sam’s Club or almost anywhere you buy electronics. Amazon sells everything, and students get free access to Amazon Prime which provides free shipping or low-cost next day shipping. They can save some money using Amazon compared to getting books at the campus store. You can buy Amazon gift cards in any amount from their site. If your student will be carrying an iPad 2 to class, the ZooGue BinderPad iPad 2 Case can help them store it in their big three-ring binder notebook for just $30. 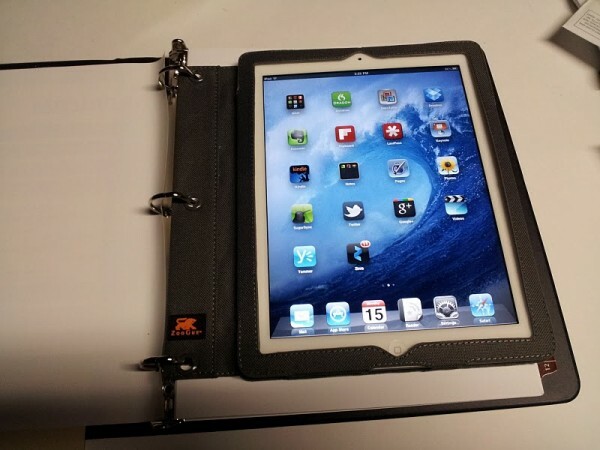 I’ve tested it out and can assure you that it protects your iPad 2 well while in a three-ring binder. The case doesn’t add much weight to the iPad. It has three holes for the binder and you slide the iPad 2 into the top of the case. A flap with velcro holds the iPad in place. ZooGue makes it from a rugged polyester material. In the past I’ve been impressed with their iPad cases. Speaking of cases, the makers of my favorite iPad 2 case have a snap-on iPhone 4 case made with the same nice leather used in that iPad 2 case. 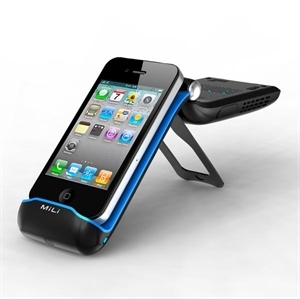 The iPhone case has a nice grip and protects your iPhone without adding much bulk or weight. 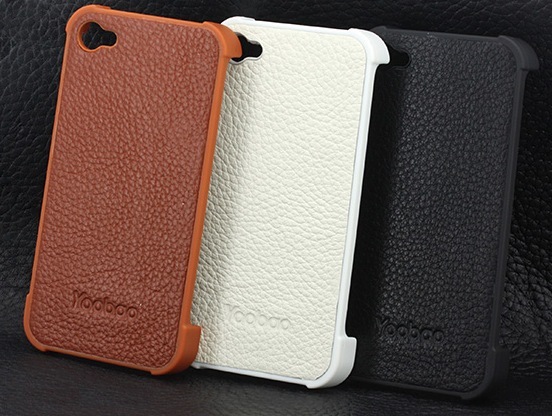 The YooBao Slim Leather Snap On Case is inexpensive and looks nice too. The high-grade leather comes in three colors – white, brown and black. Booq makes great laptop and tablet cases, but one favorite is the Bookpad iPad 2 case. It protects your iPad while adding a notepad that you can use for your note taking in class. When finished marking up a sheet of paper on the tablet side, just take the iPad out of the case and shoot an image to “scan” it into your favorite note app like Note Taker HD or Evernote. Our review linked above recommended this combination for people who take a lot of notes but haven’t become acclimated to digital note taking yet. Students often fit this category since your professors and teachers won’t wait for you to finish. Many people can keep up on a tablet screen, but many, like me, cannot if the speaker talks fast. Booq offers a number of styles and colors to choose from including a high-end brown leather that costs $99.95 or the basic model for $49.95. We just wish that they would make a hole for the iPad 2 camera to make the capture process of the notes easier. Also check out their other cases and bags for notebooks and tablets. You won’t be disappointed with a Booq Bag. A couple of our contributors here at Notebooks.com and GottaBeMobile.com swear by this tool. Livescribe pens will do more than just put ink on paper. They record the audio of lectures or meetings. They also record the motion of your pen, which is then transcribed into editable text. On top of that, they also offer storage for your audio. Our own Adam Mills told me, “If I was still in college, I’d definitely be using one for lectures.” With the pen you get a free year of Evernote Premium, which gives you extra storage and transfer space. 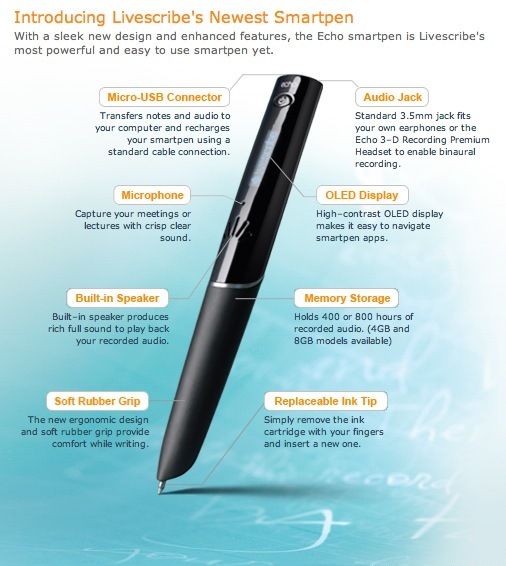 The 2GB Echo is one of the lower cost options, although they have higher capacity pens. The pen connects to a computer via Micro-USB to transfer files on and off. The ink is replaceable and the pen writes on special tablets, which you buy from the company. Our own K.T. Bradford recommends getting the headphones with the pen. She said that they have a mic in them like you get with your smartphone. The mic picks up the sound better than the built-in mic on the pen. 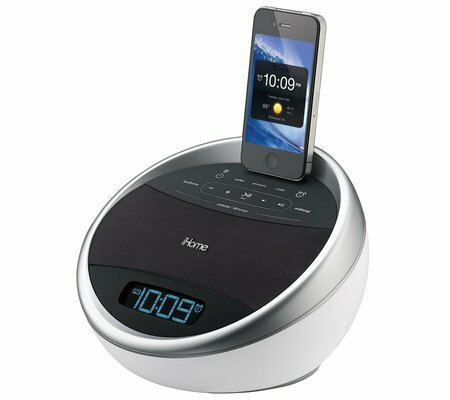 I’m a big fan of iHome’s products and the new iHome iA17 dock for your iPod Touch or iPhone should be as good as the past products I’ve tested. The radio changes colors based on your chosen settings. The base of the dock is translucent so the colored lighting shines through and will fade between colors as it changes or pulse to the beat of the music. You can turn it off completely. The color feature might just be a fun attention-getting gimmick, but coming from iHome you can be assured that the sound quality will be top-notch for a product in this price range. The dock fits anywhere in your dorm room, or on a bedroom nightstand, and helps keep you on time for those early morning classes or school days. It adds an FM stereo radio to your iOS device while it is docked, so you can both play your iPod files through the speakers and listen to the radio. Install an iHome app on your device to get more features like sleeping stats, weather, alarm clock, wake to your favorite iPod tunes and more. The Xperia Play is not going to blow your mind with graphics, even if they are pretty good, but it is able to deliver a fun mobile gaming experience. Thanks to the off-screen controls, you can use your whole display for viewing the game — which even touchscreen junkies will appreciate. Watch his hands on video for more info. 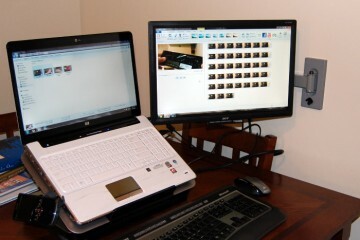 You can quickly share files with an external hard drive hooked up via USB. I wish everyone would adopt the fast Thunderbolt port on the new Macs, but at present few have other than Apple and some high end accessory makers. USB 3.0 is the next fastest hard drive interface and it works with older USB 2.0 ports as well. 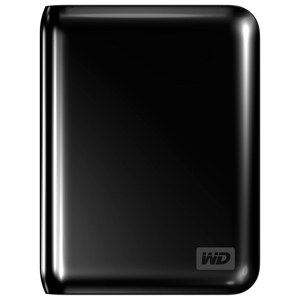 This WD My Passport Essential SE 1TB USB Hard Drive, on sale right now for less than their 750GB model, will store a ton of music, movie, picture and personal files. The size means it won’t take up too much space in your backpack. 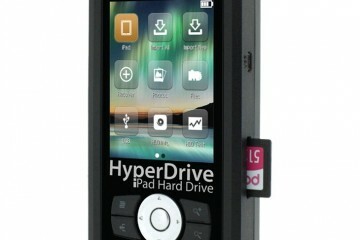 The drive can be powered via USB on the majority of modern computers. Microsoft Office is the de facto office suite for the known world. Sure you can get other cheaper and free alternatives like OpenOffice.org or iWork’s apps on OS X, but Microsoft’s suite doesn’t cost all that much. Since the vast majority of computer users have Office, why put up with the hassle of converting your documents if you don’t have to? The suite has Word, PowerPoint, Excel and OneNote. More expensive versions add Outlook, Access or Publisher. Office retails for $150, but never pay that much. You can find it online for as little as $100-$120. You might even find it in your college bookstore for as low as $20. Computer majors might want to consider going with a TechNet subscription which allows downloading of full versions of Office and Windows for just a little more than the retail cost of Office Home and Student. 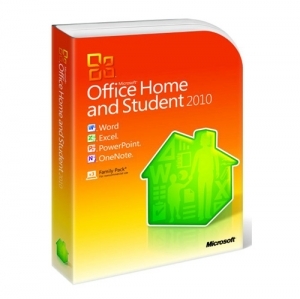 If you use a Mac, you can get Office for Mac 2011 for the same retail price or cheaper online. Microsoft offers it through TechNet as well. The Mac version is not a clone of the Windows version, but instead incorporates some of the OS X interface to make it more Mac-like. I’ve used the iWork apps like Pages, Keynote and Numbers. I prefer Word by far to Pages because it just has more to offer, while being more compatible in the dual-OS environments you find in most schools and universities. Keynote may be a little better than PowerPoint due to more attractive themes and transitions, but not enough to choose iWork and Pages over Office with Word if you have a lot of Office users around. I called this set of speakers the “21st century boom box” at GottaBeMobile.com. The SuperTooth Disco has bluetooth connectivity so you can hook them up to your smart phone or laptop to blast those beats. The sound quality beats most mobile speakers we’ve tested, and the long battery life means the music keeps pumping for hours out in the campus quad after classes, or just in your room. I’ve used the system to show an outdoor movie to a few dozen people in my backyard and to play music at the beach on vacation this summer. They worked great. I also play music in my office with them. 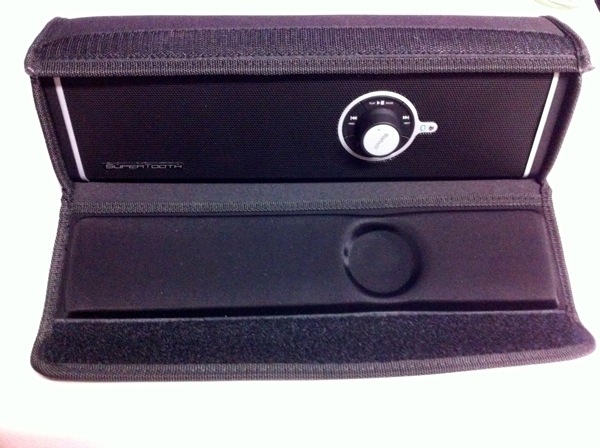 The speaker system comes in a nice carrying case and has an auxiliary line input to connect a non-bluetooth enabled audio device. The speakers cost $149 directly from SuperTooth. Why would we include a camera when so many smart phones have great cameras these days? Not everyone owns one of those great smart phones with a nice camera. A lot of people still have a cheap feature phone or an early smartphone, and many are still locked into a 2-year contract. Also, a dedicated camera is still the best option for taking a lot of snap shots of special events, or when you are traveling. I’ve missed a lot of great moments because my smart phone camera took three or four taps to get started when a pocket camera would have been ready after the push of one button. I love my Canon SD 1300IS. The only camera I would rather shoot with is my DSLR, or if I could justify it, the Canon SD1400IS. The optics on these inexpensive little cameras are surprisingly good for still shots or bright outdoor photographs. They are simple to use and just work! Many of the product shots I take for my reviews are taken with the older brother of this camera. Below is a sample of a shot my wife took at Ft. Myers Beach, FL this summer of some palm trees early in the morning outside our hotel room. A traditional gift for a recent college graduate heading off to graduate schools is a high-quality briefcase. While I would appreciate the thought, I’d much rather have a premium laptop case. Based on our experience with Waterfield Designs cases a great option is their Muzetto line of cases that fit anything from a 10″ tablet for $199 up to a 15″ laptop for $259. The vertical orientation bag has a leather flap to cover the computer. The leather case has colored accents and a nice strap to carry over your shoulder. Inside are compartments for you computer, a phone, sunglasses and more. 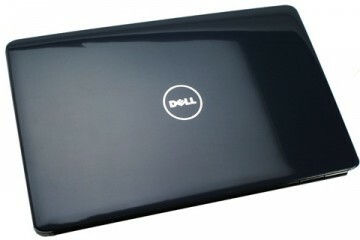 A computer in a protective sleeve or pouch would fit, giving you double the protection and the versatility of just pulling out the computer and taking it alone down the hall to a friend’s dorm for a study session. I love Waterfield Designs products and think you will be pleased with one of these bags. You might want to look at the Racer-X if you want to go with a mid-range price. 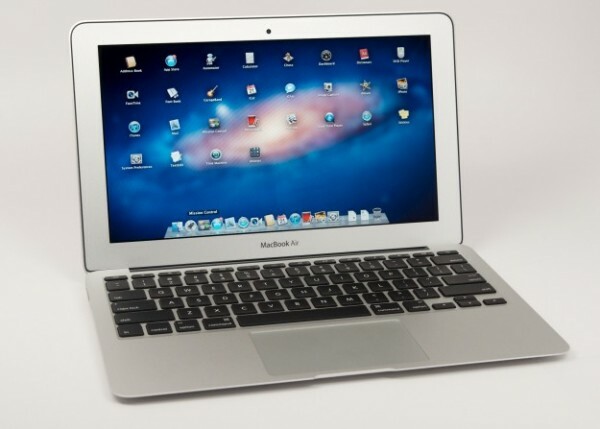 At the lower end is their Sleeve Case for the MacBook Air, which I reviewed and still love. A Slingbox hooks up to your TV and video source, like a cable box or Satellite, and streams the video from those sources to other TVs or the mobile app. This setup rocks for a student going off to college. Have the box connected to your home cable system, or satellite dish, and then you can load the iPad or another mobile app and watch content anywhere your mobile device has Internet access. It also supports watching through an Internet browser on a Mac of PC as well. I live in North Carolina, grew up in Wisconsin and went to college in Kentucky. Before the days of DirecTV’s NFL Sunday Ticket I only watched my beloved Green Bay Packers when the national game of the week featured them. I can afford the NFL Sunday Ticket, but a lot of college kids never could. And even if they could they would not be able to instal it in most dorm rooms because you need a DirecTV satellite dish. Slingbox and the mobile app gives them access to their home team, local news broadcasts and any other TV content without paying the cable or satellite man for a feed in the dorm or their apartment. Everyone knows about the iPad, so recommending it is too easy. Not many people know about the excellent ASUS Eee Pad Transformer, which I really like. It is cheaper than the iPad by about $100 and can do a little more. 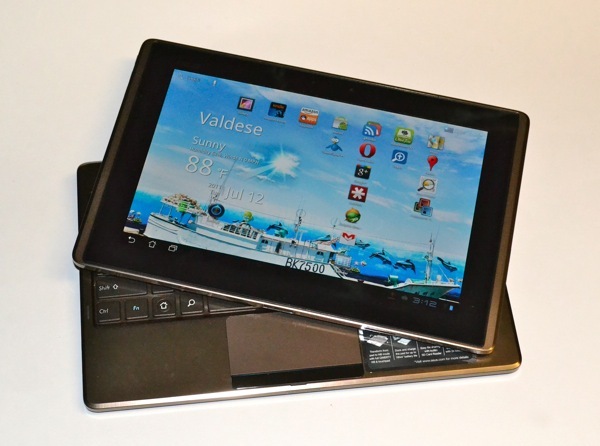 First, the optional keyboard dock connects to the tablet and turns it into a fully functional Android netbook and doubles the battery life thanks to the keyboard dock’s battery. I’ve used it to type for long periods of time and, while I would not give up my MacBook Air or Pro, the keyboard was good enough to use without getting frustrated or feeling cramped. The tablet comes with Honeycomb. A 3.2 update makes it one of the earlier 3.2 tablets. The update is not earth–shattering, but it is nice to have. I love the bright crisp display, the responsive interface and the feel and weight. A forthcoming review will give more details, but for now I recommend this as the best Android tablet available because of the screen and the added functionality the keyboard dock with extended battery gives you. Take notes by day with the tablet in all of your classes and then use it as a netbook all evening long to write papers. Now if only Android had as great a choice for tablet apps as the iPad we’d be set. Our friends at XenGadget sent one of these units over for review and it is cool. I’m testing the Mili Pico Projector (HP-A1) V2 out now, but based on limited experience I wanted to include this in our roundup for those Friday night movie nights in the dorm, or for an overnight at a friend’s house. The little projector is about the size of two stacked iPhones and has a dock port for an iPhone. Plug it in and the video will be projected through the tiny lens. The projector works best in dark rooms, but isn’t that how you want to watch a movie? The LED light projects the image. You won’t get HD, but remember, you are carrying your projector in your pocket. The device has a battery so you don’t need to plug it into the wall outlet while watching your movies. You could do presentations from your phone, iPod touch, iPad or computer if needed. The latter can be done through a VGA input. The projector casts up to 70″ from corner to corner, although 40-50″ will look the best. As you can see from the image, the device has a kickstand that folds out of the back. Connect it to external speakers or use the ones built into the projector. They might disappoint, so I’d suggest external speakers. The device comes in either black or white for about $450. There is a nice carrying case and remote in the package too. 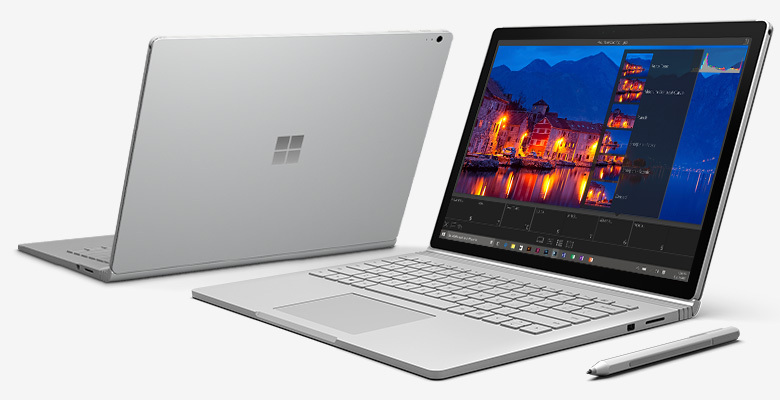 We look at a lot of notebooks, but the Gateway ID7Ho2u made our editor Josh Smith “do a double take” when he opened the box the first time. The screen offers an edge-to-edge display, meaning you get a nice width without a lot of bulk. The ID series of notebooks from Gateway have a little more style and performance than others from the budget manufacturers. Josh said it was “worth a closer look” for buyers who want something with some power at an affordable price. This looks like a great system for students who need a basic computer that won’t take up too much room and don’t want to pay an arm and a leg. If money is no object, the one computer I would recommend to all students is the Apple MacBook Air. It is fast, light and looks cool. You can perform any basic educational task with it. It is under-powered for intense uses like gaming or creative content creation, but you can do limited video and photo editing with the included iPhoto and iMovie. I’ve played a few of the games available in the Mac App Store on my 2010 version. 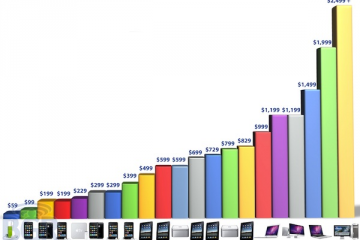 The 2011 MacBook Air has a faster processor and faster SSD too. The 11″ travels perfectly for those taking it to class or for pulling it out on a public transportation commute or carpool. If you need more screen real estate, go with the 13″ model. I would also recommend adding 2GB of RAM and getting at least 128GB of storage, making the cost a few hundred dollars more than the base model. It will be worth it. Check out our own Xavier Lanier’s posts about the out of the box experience and the battery life of the newer 2011 MacBook Air. You can also read about his first impressions. Below you can watch his unboxing video.